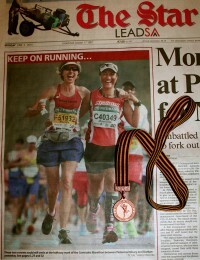 I stumbled across the Rome Marathon whilst planning our 1st family holiday in Europe. I’ve been to Europe before, worked in Germany for 6 months after my graduation touring France, Netherlands and Spain whilst living there; but never been to Italy. Always wanted to visit Italy, told myself when I do… it will be special. Never in a million years thought I would be running a marathon through the streets of Rome! 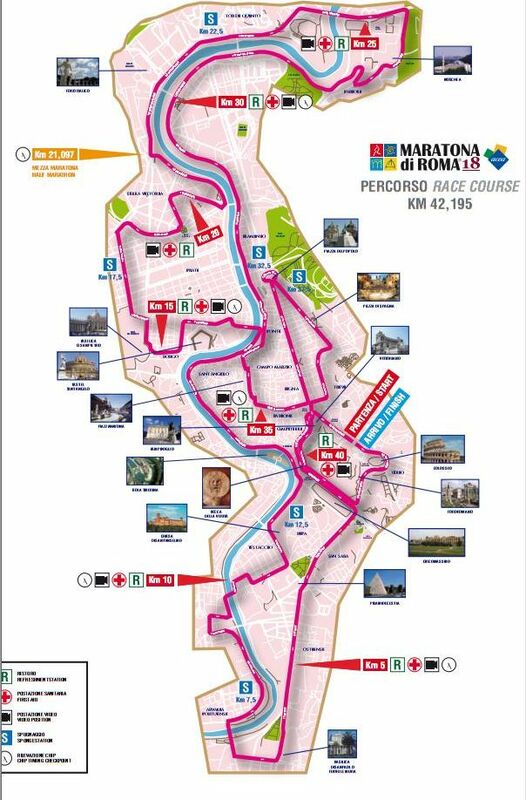 The Rome Marathon route takes you through all the tourist attractions in Ancient Rome including the Vatican City! This is a crazy time to visit Rome! It is the first time in 2000 years that a Pope resigns. The process to elect the new Pope will commence on 12 March. 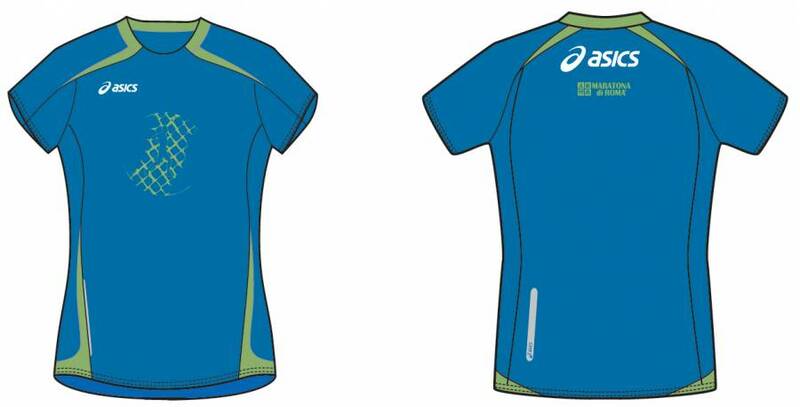 The Rome Marathon is scheduled for Sunday 17 March 9am. 16,000 runners from all over the globe. All to run through the streets of ancient Rome and the Vatican City. If the Enthronement of the new Pope falls on the Sunday 17 March then from security perspective no-one will be allowed near the Vatican City. The Marathon route and race time will have to be adjusted (at this stage will only be 4pm in the afternoon). 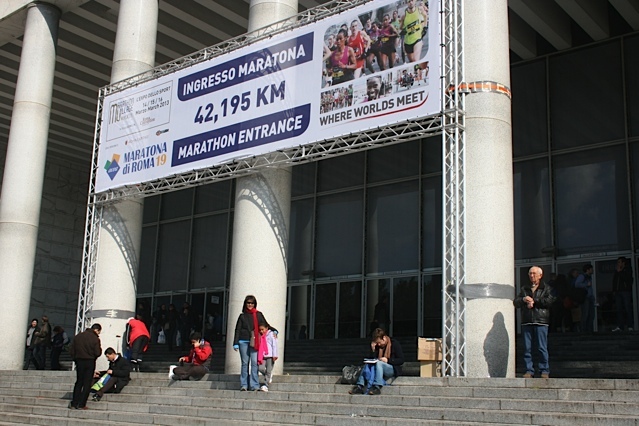 I am glad I am not the organisers of the Rome Marathon… either way, this is history. The Enthronement will see more 200 presidents and head of state including OBAMA and royalty come to Rome. I thought I was just going to run through history; not be part of making hist0ry…the organisers are promising and an epic affair! 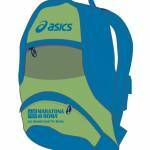 The only bag to be accepted at bag drop-off…with 16000 runners, sounds like chaos! 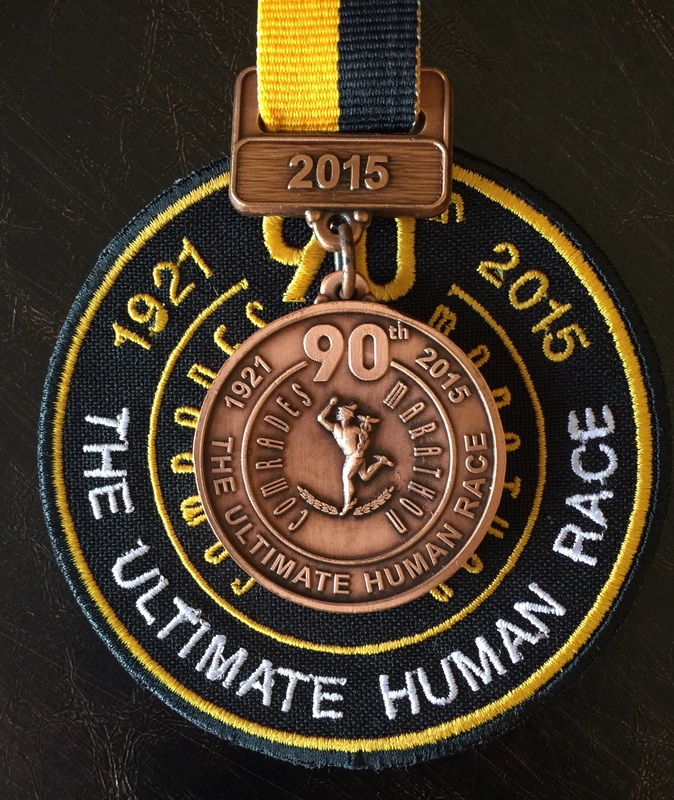 One of the most beautiful marathon medals I have seen…hope to collect mine soon! I loved the whole build-up to the race. 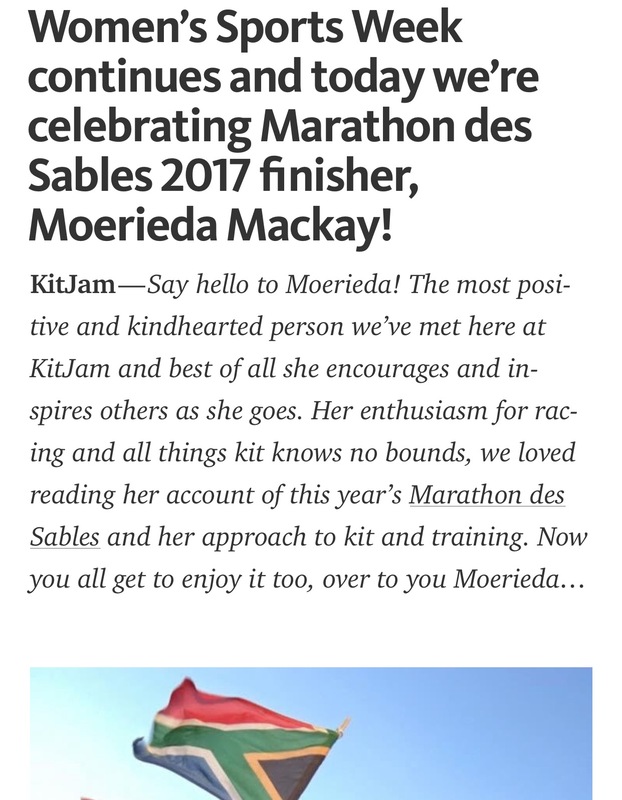 For months the organisers engaged with runners on all the social media platforms keeping us up to date with the latest news and events, the medal design competition (love my beautiful medal!) and of course the big pope election and enthronement! I was more than prepared for this race. I visited the MDR Facebook page at least once a day, though mostly in Italian some of the posts came with translations so it was easy to keep up with the conversations. Felt like I have discovered a whole new community of runners, the Italians are really proud of their MDR. We arrived in Italy on the Friday morning. The idea was to go straight to the Expo so that I can relax on the Saturday. But the 1st day in Rome was quite an adjustment. Language! The locals don’t want to really speak English so it became challenging finding your way around. We felt like contestants in the Amazing Race and eventually abandon finding Palazzo dei Congressi where the expo was held. No one seemed to know where this place was. So off the next day we went again. Must say even with directions it was not easy to find the place. But the Expo was really good. I was quite surprise. The registration went very smooth, only runners allowed at the registration area…good thing as it actually went quickly. The race pack was the best! It included a proper backpack and a beautiful T-shirt (the design on the front of the T-shirt was runner-up for the medal design). 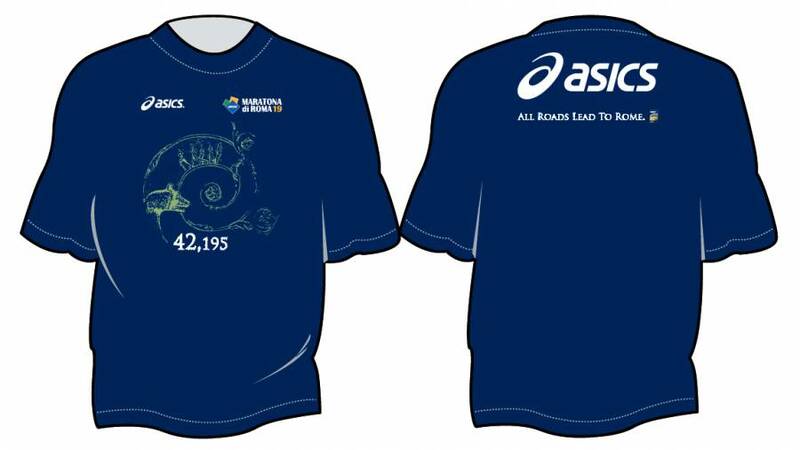 I got myself the technical T-shirt as well (the design on the front of the technical T-shirt was the 2nd runner-up medal design). Just figured, let me have the whole collection, each one captured the unique spirit of Rome. I was nervous about this race. With the Pick n Pay marathon I was scared. I so desperately wanted to run a sub 5hr marathon, but had my doubts, missed it by 3 minutes. With Rome it was different. I knew I was ready. I could’nt wait for race day! I woke up at 6am that morning :-). Marathon only started at 9:30am! We took the metro to the Colosseum, really easy to find your way around Rome with the public transport. I wore my SA flag T and had a little SA flag so that I can spot my family in the crowds. 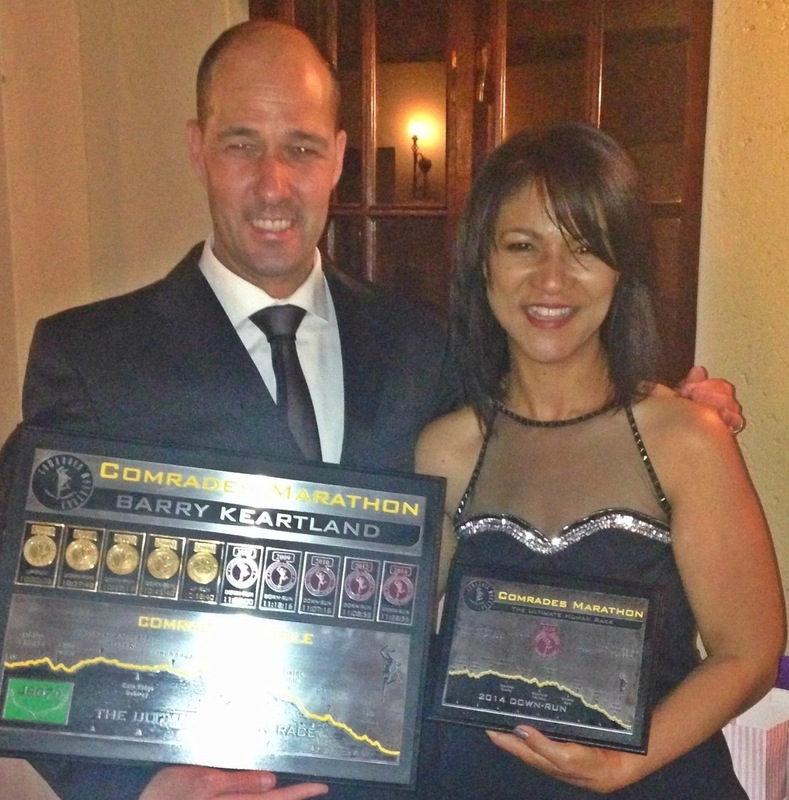 Never felt so proud to be a South African! Getting to my seeding area (seeded with the walkers…lol!) took quite a while. We had to go a funny way around the backside of the Colosseum even though you start in front of the Colosseum! Threw me a bit as there were so many runners now trying to make their way up the stairs to the start which is over 1km away! I looked on my watch and it was 9:30!!! OMG…am I ever gonna get over the start line today! But everyone was so relax. For a moment I forgot about the real race time thing and started to run to the start. Felt like forever, but it was only 6 minutes. I was all fluttered and out of breadth when I got there. Really had to tell myself to SLOW DOWN and RELAX…smile for the cameras :-). Because I started so late I was right at the back, a real back-of-the-pack runner :-). It suited me perfectly, I could run my own pace and make sure I don’t go too fast during the first half. The excitement of the start of the race drained me. Took me up to 3km to calm down. It was very cold that morning (1 degree) so difficult to settle into a nice rhythm. The race profile was pretty flat for the 1st half so all I had to do was just focus on hitting my km splits. I looked at my watch every time it beeped and for the 1st 10km was mostly hitting 6:20s. I get nervous when I see numbers like that even though I know that is the pace for a sub 5hr marathon. I previously tried to stick to 7min/km but that got me nowhere! So now I know I have to stay at 6:45-6:30 pace to be safe, especially later in the race when Mr Fatique will come knocking on the door!!! I enjoyed exploring the city of Rome by running through it. I loved the ancientness of the city. We ran through some of the most beautiful parts of Rome, but also through some pretty average areas. Due to the Pope’s first Angelus we were not allowed to run through the Vatican City, organisers had to change the course last minute. A pity. I was looking forward to that…well I suppose I should be glad they did not cancel the marathon. 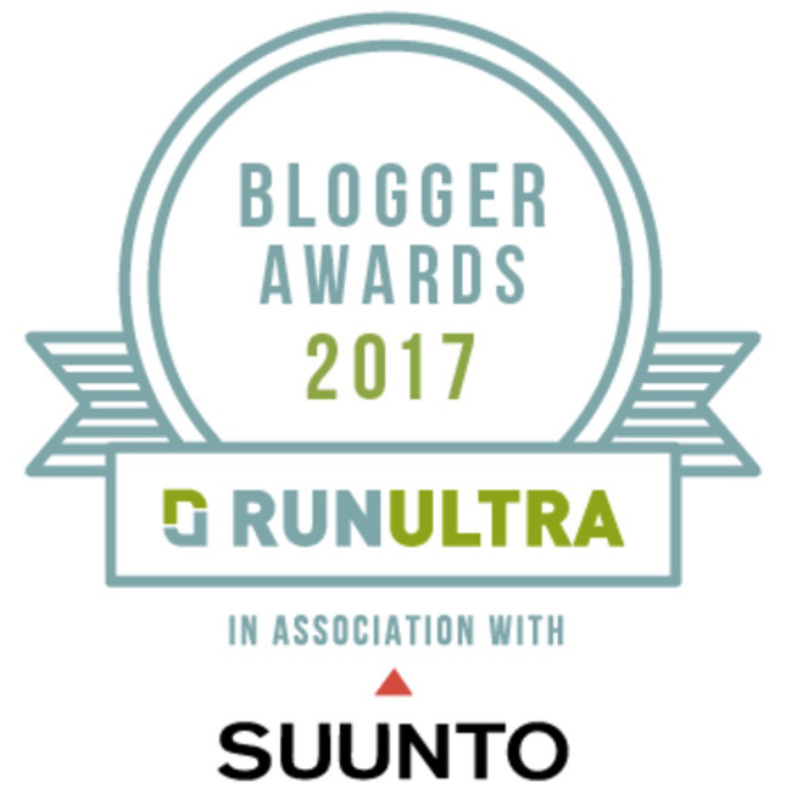 I have heard so much about the running on the Rome cobblestones. Even ran on the pavement during my training just to get a feel. Running on the cobblestones was not that bad, but then again this was still early days, fresh legs! For most part of the 1st half of the race I was feeling good and in control. I reached halfway mark at 2:18, on target for my sub 5hr! From studying the profile I knew there was going to be bit of a climb from the 25km through to 30km. Yes, my “sweet spot” in a marathon. I still don’t understand why I find this section so tough. 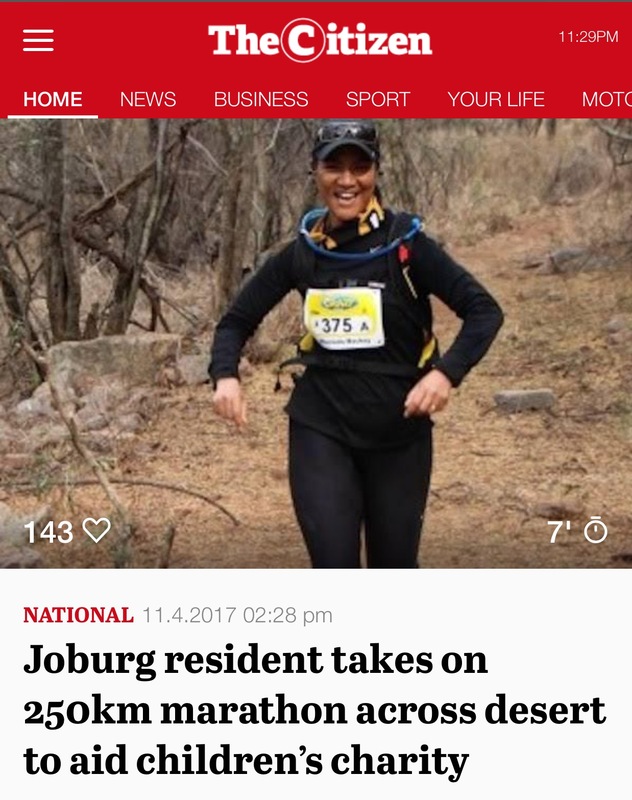 It’s like if I can get through to 30km I can go the whole distance. I had to reach 30km by absolute latest 3:30 for a sub 5hr. I got there at 3:18. I was now getting excited! If things go this smoothly I can bag this sub-5hr! I did not realize that the Rome Marathon makes a video of you running from 30km!!! Then at all the major tourist places and then at 35km, 37km, 40km, 41km, 42km with close-up and different angles…all the way to the finish! Very, very clever of them!! Catching you when you at your most vulnerable :-). 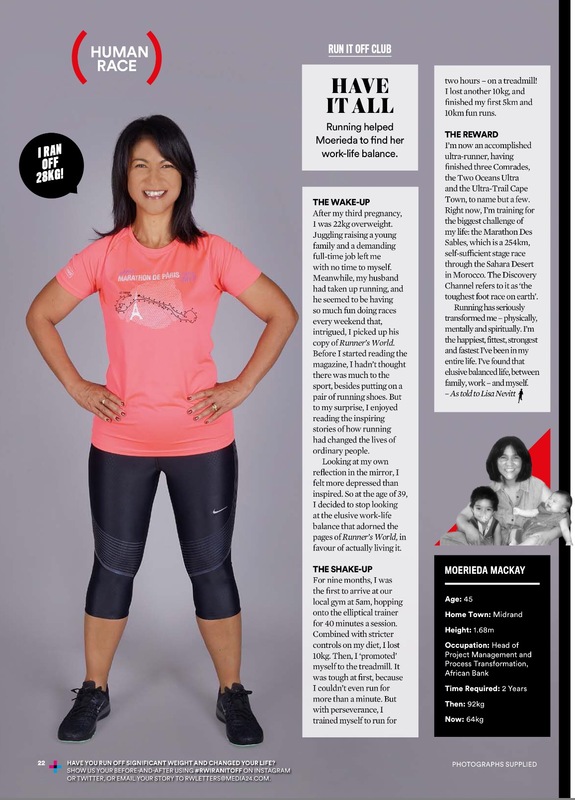 Damn, if I knew this I would have high fived all the way…and not taken a walk break the minute I ran over the 30km mat! I thought at 3:18 a walk break was well deserved! :-). From 30-33km I was feeling very strong again. I reached 32km in 3:30. It was at this point that I knew I had my sub 5hr!!!! I told myself I can relax a bit and just make sure I keep hitting my splits. At 38km I struggled a bit to keep under 7min pace. Just 4km to go…I tried but everything felt so slow. I saw the Colosseum! But it look liked a hill before I could get around it. Why at this last stage a hill! It’s not even a long or a big one, I just knew it was going to be hard work getting over it. I tried….but had to walk halfway through. My mental mantras did not seem to exist, completely out of mind! It was only 41km now. If I could just see the finish but I can’t and then… finally around the corner, there it was! Everyone was now running, pushing hard and throwing their arms in the air with the photographers clicking away at the finish line. I received medal and was then covered with a space blanket. My time 4:55:22!!! I have never felt this good about myself. I have done it!!! Got my illusive sub-5hr marathon in Rome! What a race! enjoyed your post about Rome – signed up for 2014 – was in Europe in 2011 and thought wouldn’t it be nice to run here looking at all the cool sights as you stride by – your play-by-play reporting is great – thanks for sharing your story. 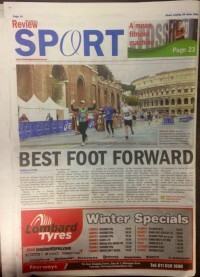 Thanks you for sharing in such detailed way your experience on the Rome Marathon. I’m afraid of the cobblestones, but I think I’ll give it a try for 2014. Thanks! Excellent! Cobblestones not as bad…all the best with the training. I love this but I’m on a tour when this is on and wont have time for a marathon. This there no road races with this event? hi greeting for the other part of the world. i did berlin marathon this year, and thinking of doing another marathon in Europe. well, not in 2016 tho!